Maranatha Fellowship Church was born in a prayer meeting on January 2, 1991, with 16 people in attendance. Our first pastor was Rev. Charles A. Epperson. 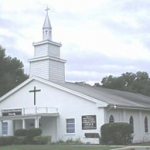 Our first service was held on Sunday, January 6, 1991 at the Winter Park Seventh Day Adventist Church, with 39 present. A month later Maranatha moved to the chapel of the Baldwin Fairchild Funeral Home on Lake Ivanhoe, where we continued to meet, expense free, for almost 2 years. On Sunday, November 8, 1992, Maranatha Fellowship began meeting at 1820 East End Avenue in Winter Park, after buying the property from Rev. Carroll Blakeslee and the Edgewood Congregational Church. We paid cash for the property, having accumulated enough funds in the two-year period at the funeral home. We officially organized as an autonomous church affiliated with the Christian and Missionary Alliance on Sunday, February 3, 1993 while Rev. Epperson was still our pastor. The name Maranatha Fellowship Church was proposed by Jonathan Whitlock, a charter member of the church. Rev. Epperson served as pastor until he passed away in June 1996. Rev. Grady Mangham then served as our interim pastor until December 08, 1996 when Rev. Curtis L. Pace was called to be Maranatha’s second pastor. After Rev. Pace moved on in 2000, Rev. William Austin served as interim pastor until he was called to be our full-time pastor in August, 2001, serving as our third pastor until he retired in 2008. Rev. Barry Peterson was called to be our next pastor in June of the same year. When he moved in September 2013, Rev. Terry Truffin first served as a fill-in pastor, then as our interim pastor, and was finally called to be our full-time pastor on January 29, 2014. Under the leadership of Rev. Carroll Blakeslee, construction of the church building located at 1820 East End Avenue began in 1953. 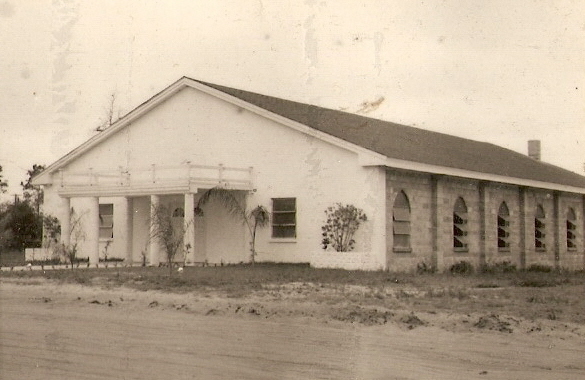 When construction finished in 1956 the new church was named Faith Chapel. What began as a leap of faith has touched the lives of multiple generations. 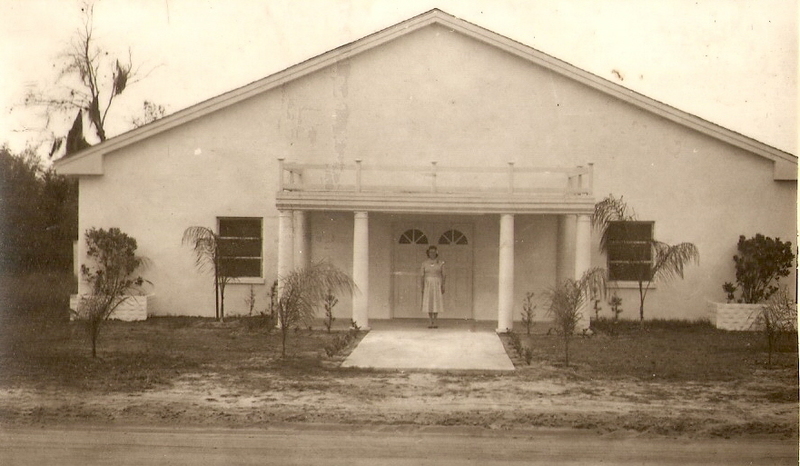 This new church was the only church in the immediate area at the time, serving the community just north of Corrine Drive. There were very few businesses nearby, but there was a growing collection of small residences. In those early days, the church seemed to be located near the end of civilization in metropolitan Orlando; but, we know the Lord had strategically placed them there to fulfill His purposes for the developing neighborhood. For many years, the church was only a few blocks from an important military base. During the 40’s and 50’s, the Orlando Air Force Base operated a tactical missile training facility at the corner of Corrine Drive and Bennett Road. 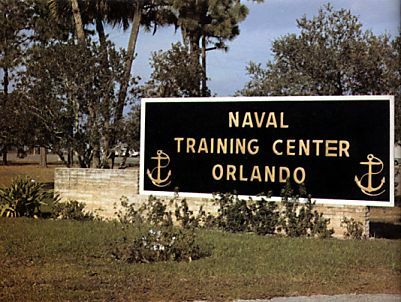 In 1968, the base became the Orlando Naval Training Center, which trained thousands of Naval men and women until it closed in 1995. The Baldwin Park community now occupies the land where the base once belonged. The original church structure still stands. A steeple was later added to enhance its overall appearance, and a number of internal renovations have been made to create more functional space. The church edifice remains a landmark of our community’s history. Throughout the years, the church has been a sanctuary of hope and a tribute to the Lord’s faithfulness. It stands as a steady reminder of God’s grace, and it will continue to be used for His glory so long as His providence sustains us.